Our service and support sets us apart from other Association management companies in Oregon and Washington. Find out why so many people trust their association's management to AMS. We're passionate about service and support. 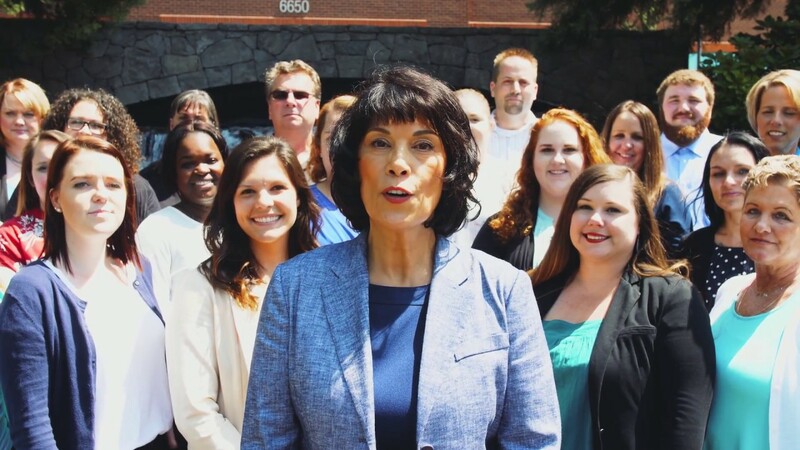 Our top-notch team of educated, experienced professionals sets us apart from other homeowner association management companies in the Northwest. We are a full-service homeowner association management company, serving single family and multifamily communities in Oregon and Washington. We've developed an effective style of management that has resulted in long-lasting relationships with the clients we serve. OUR TOP-NOTCH SERVICE AND SUPPORT IS WHAT SETS US APART FROM OTHER ASSOCIATION MANAGEMENT COMPANIES. Our hands-on approach allows us to offer scalable solutions for every size community, ranging from a handful of units into the thousands. Our parent company, The Management Group, Inc. (TMG), was founded in 1985 by President, Carmen Villarma. Today, TMG is a family with multiple divisions that provide property management, sales and maintenance services for single family homes, multifamily units, community associations and commercial properties. With a staff of 120+, we manage over 14,000 residential units in Washington and Oregon. TMG’s corporate headquarters is located in Vancouver, Washington with branch offices in Portland, Oregon, Salem, Oregon and Kennewick, Washington. TMG’s success is anchored upon its dedication to the property management industry and continues to enjoy a solid base of market diversity, geographical expansion and numerous successes on behalf of highly-respected clients and business-to-business partnerships. We make sure everything we do honors the expectations of our homeowners, clients, residents and employees – from our commitment to providing the highest quality property management services, to the way we personally engage with our customers and communities to do business responsibly. Our knowledgeable and dedicated staff bring together their collective experience to enhance and strengthen your community. If you are looking for full service, financial only, or consulting services, we have the tools, contacts and resources to help manage and care for your association. Education is a top priority at AMS. We exceed the industry standards for association management company accreditation. We encourage the continuing education of our employees and leadership team. We are the ONLY management company holding the AAMC and AMO accreditations in both Washington and Oregon. An AAMC designation represents a commitment to professionalism, education and excellence. It requires the senior manager to hold a PCAM designation, and at least 50% of managers to hold PCAM, AMS or CMCA credentials. We are one of only a handful of HOA management companies in the Portland and Vancouver area that have attained the AMO accreditation from the Institute of Real Estate Management. AMS joins 537 AMO firms worldwide that hold this distinguished accreditation. The CMCA certification recognizes individuals who have demonstrated the fundamental knowledge required to manage community associations. More than half of our Association Business Managers have achieved this designation. Many of our Association Business Managers have earned the Certified Association Management Professional (CAMP) Designation from OWCAM. Managers with this designation must complete courses and testing, and complete continuing education to renew.